The way we go about making our liquid pumps is largely based on the clients needs. Because our equipment may be used for a variety of applications, each system is typically designed/sized according to it’s intended end-use. Most of our liquid pumping systems are built for a specific application, whereas our air operated panel unit is more of a universal system, suitable for many miscellaneous applications. Hence it is important for our engineers to be familiar with the expected use of the equipment to optimize design efficiency. 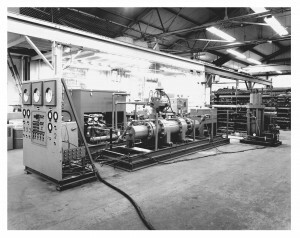 High pressure discharge rates, desired flow rates, expected cycling and piston speed contributing to packing wear, volumes required/reservoir sizes, heating/cooling needs, horsepower, fluid used, safety requirements, ease of maintenance, access to repairs, and many other things factor into designing each system. Harwood Engineering recently developed a system for the pressure testing and autofrettage of small parts, mainly used for small parts application in the diesel engine community. For more information, read our news article. This versatile system has been a valuable tool, serving as the high pressure source for many research and development labs, geological studies, and countless high pressure studies at universities all around the world. Customization and variations of the system’s components to suit your exact needs are easy for us to do – usually without much change in price – as most of our systems are slight variations of a similar theme. Similar systems are available with semi-automatic and fully-automatic control, and with a large variety of pressure ranges. 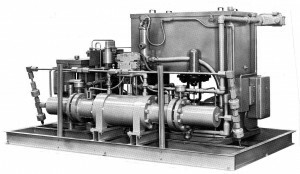 Below are some examples of liquid pumping systems we have built in the past.